You spoke – we listened! 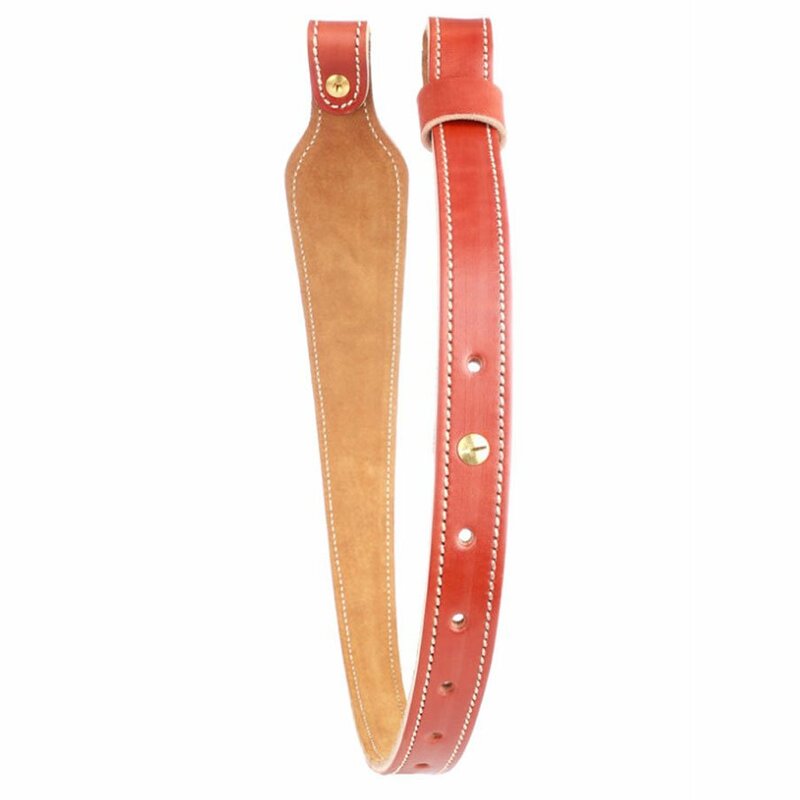 Fans of 1791 Gunleather wanted a handsome, quality rifle sling to match their handgun and ammo holsters. So, in 2017, we added the SLG Rifle Sling to our mix. Rifle slings are the safest and most convenient way of transporting your long gun to and from a hunting or sport shooting location. Most people don’t wear their slings while shooting. For your convenience, our leather gun sling comes with adjustable, durable brass hardware that mounts on standard 1” swivels (sold separately) for easy release when desired. It’s a simple sling, but well-designed to hold your rifle securely over your shoulder. Choose your color: Classic Brown or Stealth Black. Our Heavy Duty Universal Rifle Sling fits most semi-automatic, single shot, pump action, bolt action and lever action rifles including: AR15, Browning, Kel-Tec, Marlin, Remingtons, Rugers, and many more. Why purchase the SLG Rifle Sling? Love of Leather – For some huntsmen, a flimsy piece of nylon will never do! Nothing beats the look, feel, and smell of fresh leather straight out of the package. A leather sling is ideal for weight distribution. Comfort – As with all our products, you get the same classic handcrafting of 100% Certified American, Heavy Native Steerhide leather. We purposely designed our sling with a wider shoulder width for better weight distribution, even if you’re carrying a 13 to 16 pound rifle out in the field. The leather conforms to your body, which makes it comfortable for the long treks or successive days spent at camp. 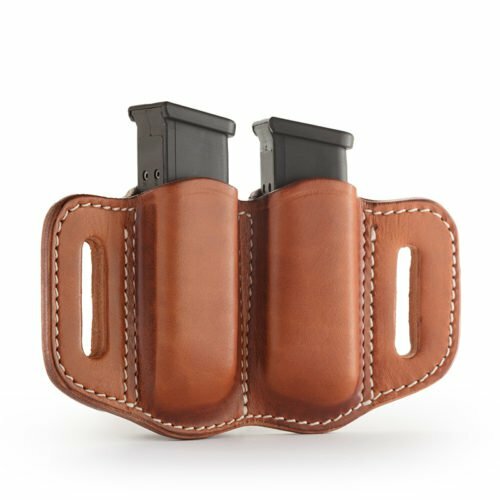 Universal Design – Switch our leather sling from rifle to rifle with ease, thanks to a smart universal design. Safety – The reinforced stitching, high-quality leather, and durable hardware ensures that your carry is secure. Accessibility – The open top design gives you quick, easy access to your rifle when you need it. Warranty – We design our products to last for generations and stand behind each item made. 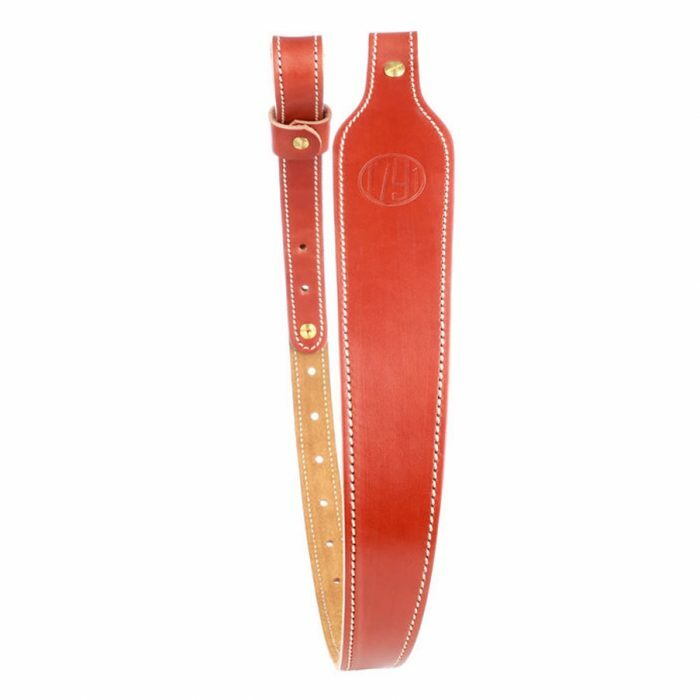 Every 1791 Gunleather sling comes with a Lifetime Warranty on craftsmanship. Attachment Points: Like the SLG, most rifle slings attach at two points of your choosing to provide much better security than a single-point sling. Most sportsmen will attach their slings on the buttstock and just behind the VFG to provide the best stability without interfering with grips or controls. Quality two-point slings allow open, unrestricted access to the mags and ejection port, whether you’re right or left-handed. In tactical situations, a single-point sling may be necessary to maneuver in tight quarters such as a moving vehicle, or to keep both hands free at all times. A three-point sling is only really good for extreme security when switching between multiple weapons – otherwise, it’s so secure, it actually gets in the way. Padding: Like a guitar strap, you’ll sometimes find slings with padding in the shoulder. Most people will make the mistake of buying a padded strap only once – initially thinking of it as a luxury splurge that will enhance comfort. Personally, we opted not to include padding because they can feel foamy and saggy. You may feel as though your weapon is pressing down into you or even bouncing around. Shooting Sling: Some avid huntsmen use their leather rifle slings for added stability when firing at distance. You wouldn’t want to use a shooting sling for a close-quarter engagement or for tactical carrying purposes, but you can shorten the distance between you and your rifle with a military leather sling and the loop method. Material: If you’re operating in wet conditions, you may prefer synthetic material like nylon for its ease of cleaning. Our slings are made of leather because it looks amazing and lasts a long time. Perhaps most importantly, leather stays in place if you’re transitioning to different layers of clothes or hiking up and down different elevations, whereas nylon is likely to slip. 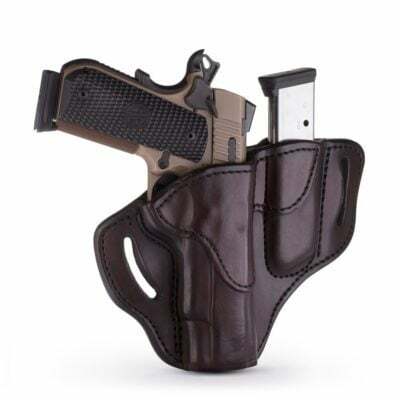 Color: You may want tactical black to blend in with your surroundings or brown to match your other carrying gear. 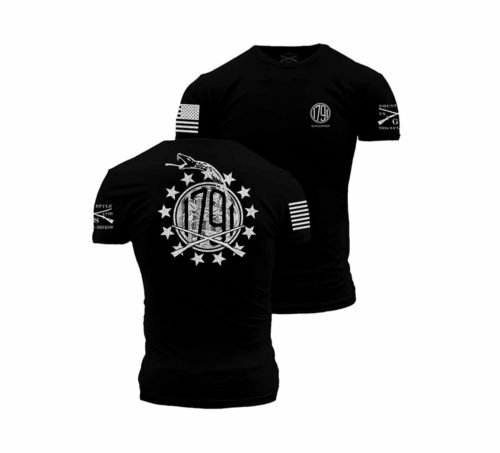 In addition to our leather rifle slings, be sure to check out our matching pistol holsters, ammo holsters, and clothing for proud patriots who love and appreciate Second Amendment rights as much as we do.